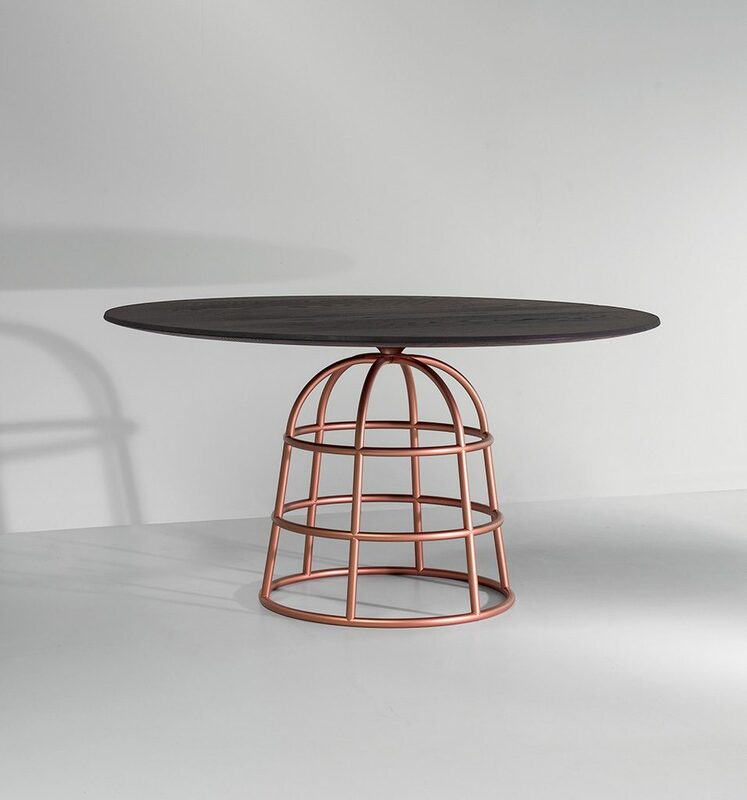 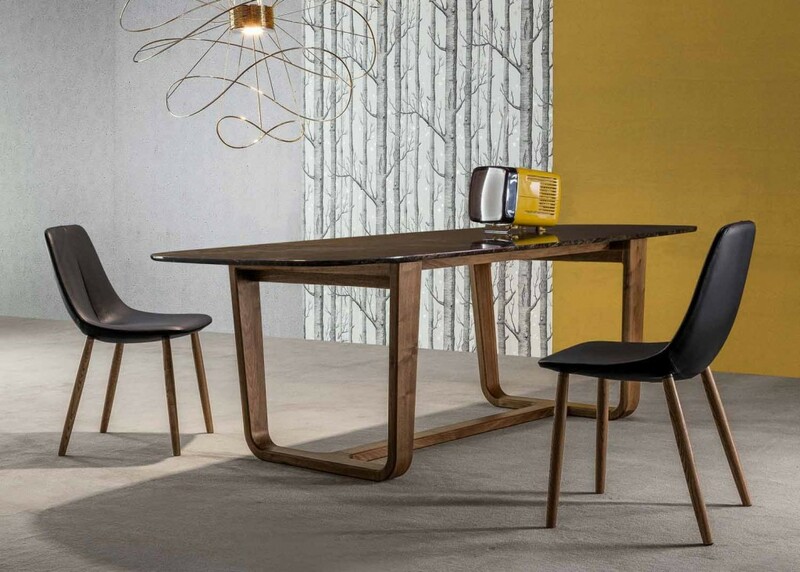 A modern and elegant table, characterised boldly by a merger of styles, geometric shapes and materials. 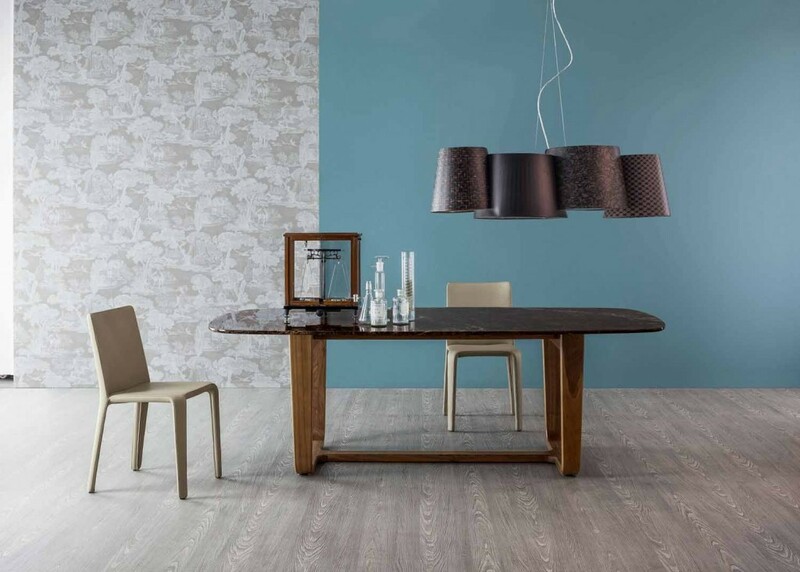 The legs are available in American walnut-wood or in natural polished or grey ash-wood. 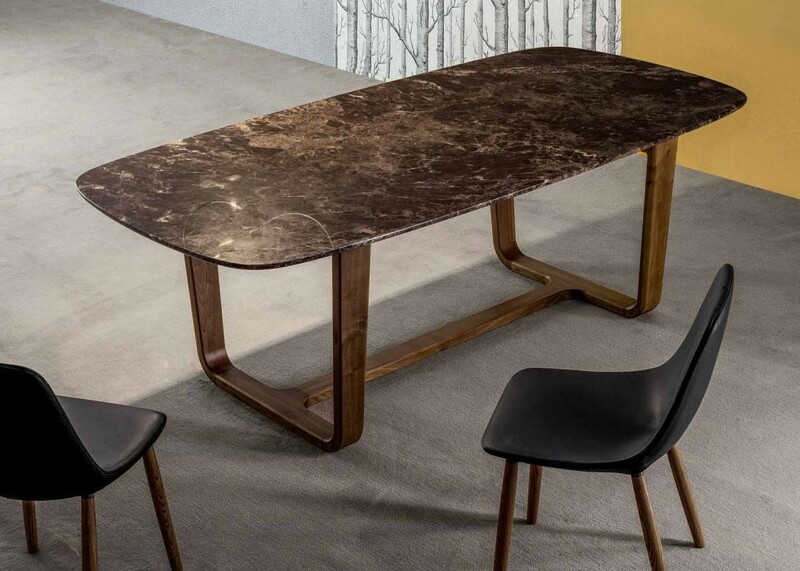 Deliberately in contrast with the solid wood legs, the table top is available in marble or lacquered white.